Birch Trail homes are located in the coastal area of Irvine, California. 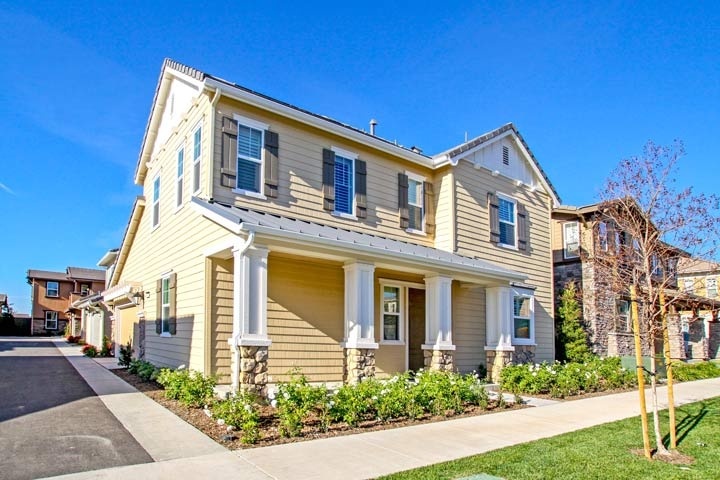 The Birch Trail neighborhood is located in the Great Park community with brand new construction homes built from 2014. These are three to five bedroom single family homes that range in size from 1,870 to 2,380 square feet of living space and built by Richmond American home builders. The homes can offer a main floor bedroom, laundry room, master suite with separate shower and tub, gourmet kitchens with granite counters, center island, recessed lighting and attached garage. Homes located in the Birch Trail Great Park community are located under a homeowners association with monthly dues required. Great Park also has an additional Mello Roos tax that is added to the monthly homeowners association dues. Residents of Great Park get to enjoy the many association amenities which include a nice community pool, spa, outdoor playground, sports court and a huge park. Below are the current Birch Trail home for sale and for lease in Great Park. Please contact us at 888-990-7111 for more information on this community and any of the homes listed for sale here.